I grew up in the old Manila district of Sta. Ana. My parents and their parents are also old residents of this district. Growing up, we have heard stories from our grandmother about how the district of Sta. Ana was spared when the Japanese started to burn the whole city of Manila as the Americans were trying to liberate the city from its World War 2 oppressors. 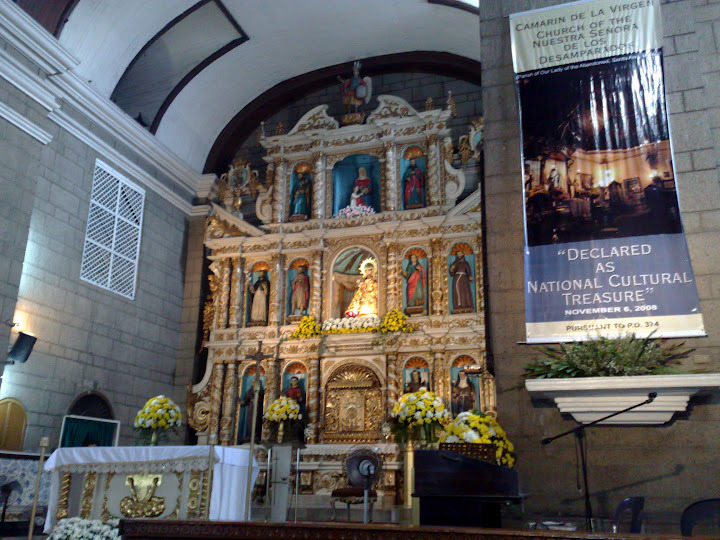 Some of them believe that the patron of the church – which is Our Lady of the Abandoned truly protected the district, its people and its church. A large movement to restore the old churches across the country is underway. The Sta. Ana church is one of the churches which has been restored. I rarely go to church nowadays – but during the memorial service of my grandmother’s sister last year – I was able to view the church again. All I can say is that whatever restoration work has been completed was done well.